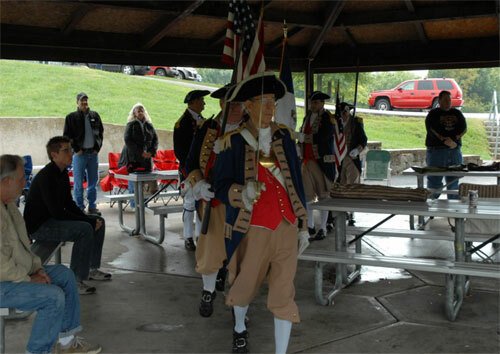 The MOSSAR Color Guard is shown here participating in a Constitution Day Reading with the Corps of Discovery C.A.R. Society of Kansas City, MO. 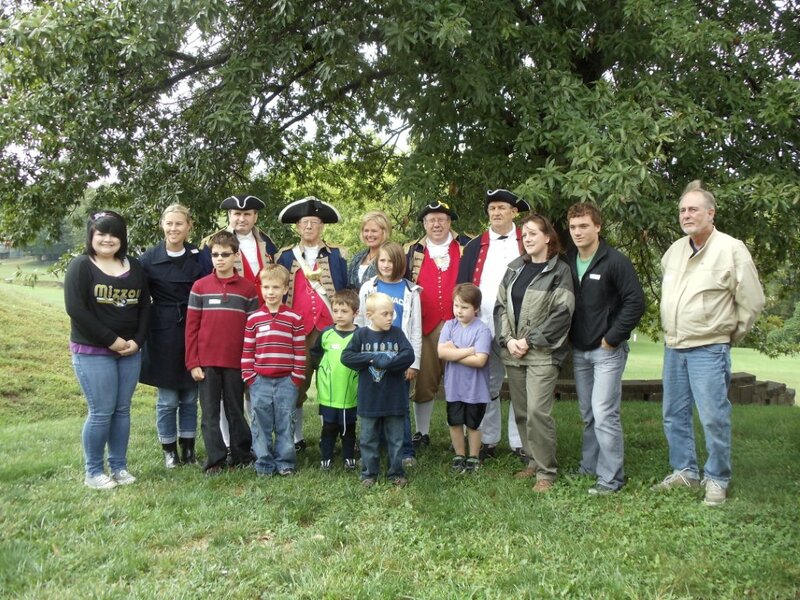 The Constitution Day 2011 event took place at Keystone Park in Blue Springs, MO on Saturday, September 17, 2011. The program started at 2:30 PM. The children marched with the MOSSAR Color Guard carrying smaller flags. Followed by the opening ceremony, the U.S. Constitution was then read. 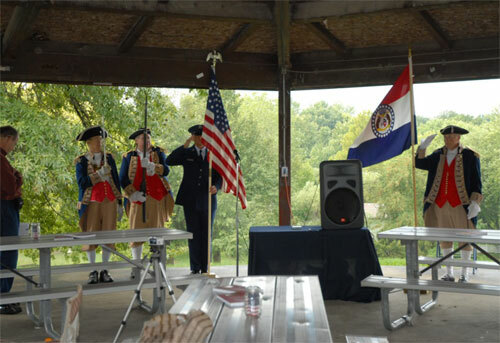 The MOSSAR Color Guard also retired the colors after the reading. Left Photo (L - R): Compatriot Dirk Stapleton, Major General Robert L. Grover, MOSSAR Color Guard Commander; Compatriot James L. Scott , and Compatriot Jesse Lybarger. Not in Photo: Compatriot Al Paris; and Compatriot Fred Kaffenberger, who is from the Delaware Crossing Chapter of Kansas. Center Photo (L - R): Major General Robert L. Grover, MOSSAR Color Guard Commander; Compatriot James L. Scott , and Compatriot Al Paris. Not in Photo: Compatriot Dirk Stapleton, Compatriot Jesse Lybarger, and Compatriot Fred Kaffenberger, who is from the Delaware Crossing Chapter of Kansas. Right Photo: Major General Robert L. Grover, MOSSAR Color Guard Commander; Compatriot James L. Scott , Compatriot Al Paris, Compatriot Dirk Stapleton, Compatriot Jesse Lybarger, and Compatriot Fred Kaffenberger, who is from the Delaware Crossing Chapter of Kansas.